USB 2.0 cables are up to 10 times faster than USB 1.1. The increased bandwidth substantially reduces the time required for transferring large amounts of data or video. USB 2.0 A Male to Micro B Male Printer Cable. Impedance matches twisted pair construction helps to minimize Cross Talk and Error-Free Transmission. Connection types: USB Type A male to USB Type B male. 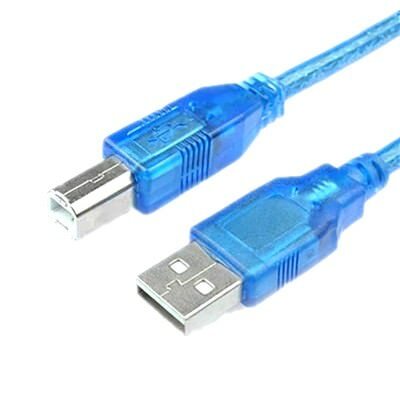 Click the button below to add the 5M USB 2.0 Type A/B Male Cord Cable for Printer Scanner Modem (Blue) to your wish list.